Over the next 50 years, US cities will double in population and land area, creating a pressing need for science to inform the sustainable growth of these embedded systems and landscapes. Metropolitan Boston is an ideal setting for urban long term research because of its high spatial heterogeneity, historic nature and progressive state of regional development. We have formed an innovative partnership between the city, environmental non-profits, ecologists and social scientists to conduct a comprehensive, interdisciplinary research program in urban ecology and urban greening within the Boston Metropolitan area. How have historical and social processes led to regional and local land cover transformations, producing observed current patterns of ecosystem state and structure? Which social drivers and intervening biophysical processes link most strongly to particular social, ecological and health outcomes? 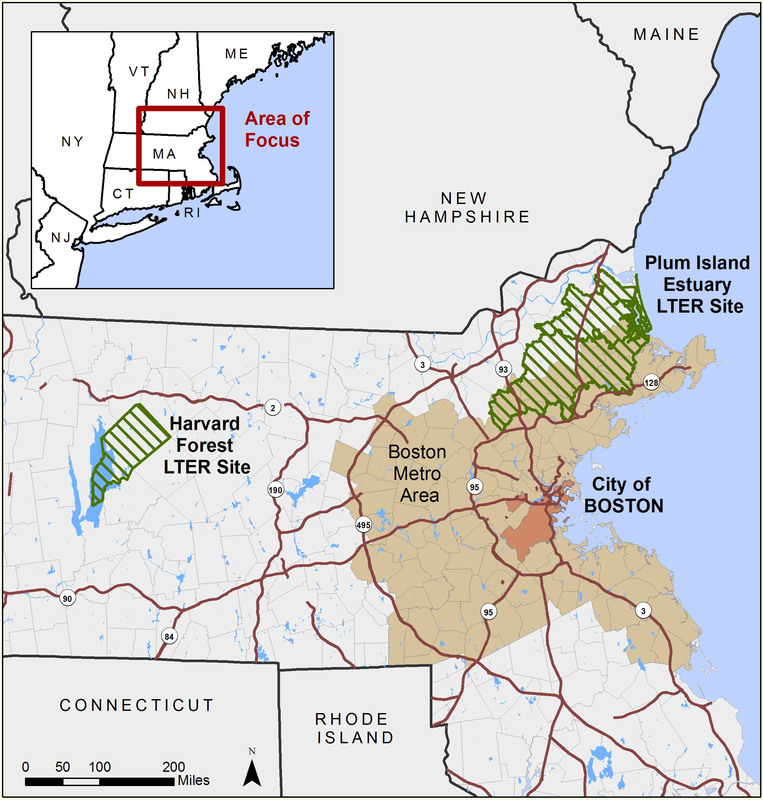 What is the future of the Boston metropolitan area under different landscape change scenarios? Our conceptual framework encompasses a familiar cycle of human-environment interactions and emphasizes the critical role and need for study of the embedded feedbacks. In particular we recognize the importance of of direct feedback from ecosystems to human health and well-being. Our work aims to contribute new insights into the influence of spatial configuration and patch adjacencies on social and ecological outcomes. Our focus on urban greening, a subset of environmental stewardship, as a key process creates opportunities for new insight into feedbacks in socio-ecosystems across urban-rural gradients. 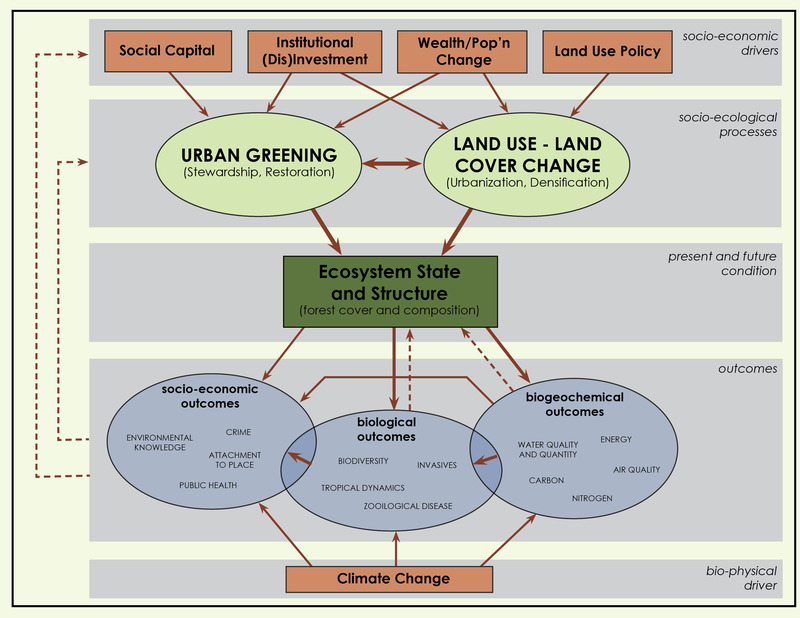 Finally, through the use of scenarios, we begin to make a more thorough integration of urban ecological theory and the science of climate change, vulnerability, and resilience. More information on our specific research projects can be found here.